This was truly a weekend of fun and activities that I had to share. Saturday morning was a fun festival at Jupiter's Downtown Abacoa. There were crafts, pony rides, pumpkins, and a petting animal farm. Once Abacoa's event was over it was on to Spookyville at the South Florida Fairgrounds. 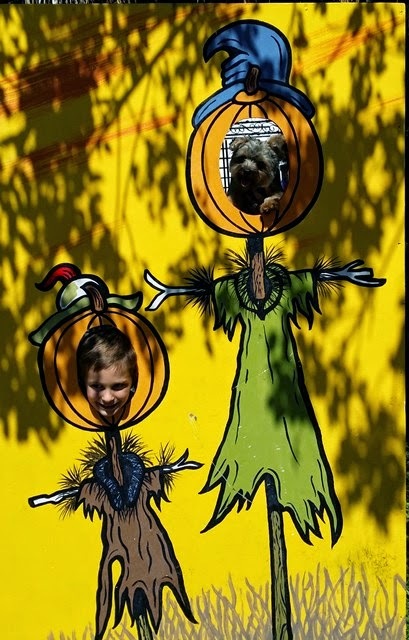 Spookyville is a great time with a scavenger hunt, food, rides, and activities. Houses are decorated and you get to explore the fairgrounds. Later that evening was an event at the Palm Beach Zoo.. Busy Saturday Fall fun night. Sunday was the fait at the new JCC in Jupiter. They had all sorts of activities as well as cotton candy, candy apples, and popcorn. This was a truly fund weekend here in Palm Beach Florida. We are looking forward to next weekend's Haunted House in Jupiter. It is amazing "Heather Street Klowwnz" will open in Palm Beach Heights on October 25th at 7:30PM. This is not for the faint of heart, but so much fun!